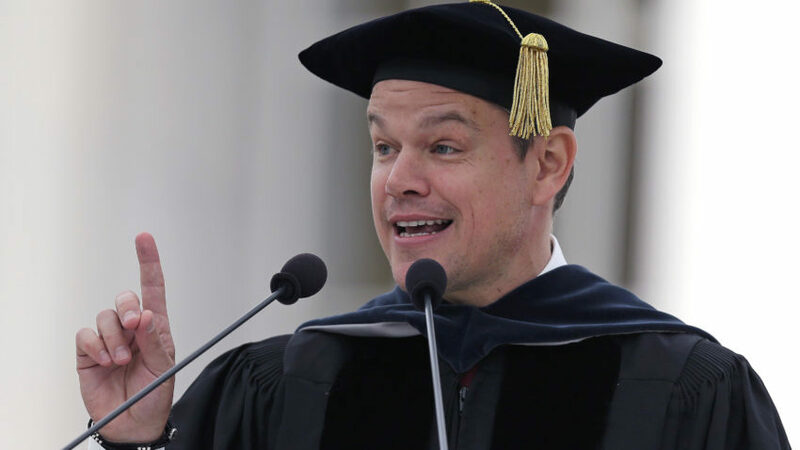 Green Team Gazette: Follow Matt Damon's MIT Advice: "Turn Toward the Problems You See"
Follow Matt Damon's MIT Advice: "Turn Toward the Problems You See"
It's commencement season, and all around speeches swirl. I've even written my own personal graduation speech in attempts to inspire my 5th graders in writing their promotion speeches, which they will eloquently deliver on Tuesday. Matt Damon spoke Friday to 2016 graduates at MIT. He spoke as only Matt Damon can: with humor (at times self-deprecating), with environmental urging, with encouragement toward innovation, and with a lot of wise, thoughtful remarks. He spoke of his experience at Water.Org, and he of the importance of "turning toward the problems you see." Both the problems and the possibilities. "Either way, what we do matters. What we do affects the outcome.... So either way, MIT, you’ve got to go out and do really interesting things. Important things. Inventive things. Because this world ... real or imagined ... this world has some problems we need you to drop everything and solve." "What do you want to be a part of? What’s the problem you’ll try to solve? Whatever your answer, it’s not going to be easy. Sometimes your work will hit a dead-end. Sometimes your work will be measured in half-steps.... But for all of you here, your work starts today." But what you really need to do is watch the 20 minute speech in its entirety below. Then you need to go forward, turn toward the problem (your choice), and start working today. Go here at MIT for a written transcript of Matt's speech.